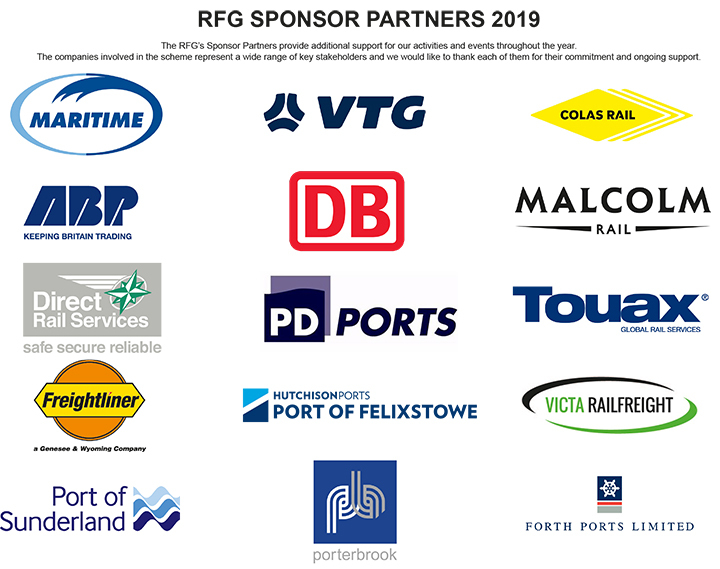 Each of the Sponsor Partner companies come from within the RFG membership and have chosen to provide additional support for the group’s activities and events throughout the year. Together they represent a wide range of key stakeholders and RFG would like to thank all of them for their commitment to the group and ongoing support to the UK rail freight sector. One of the UK’s leading ports group, Associated British Ports (ABP) owns and operates 21 ports in England, Scotland, and Wales, and handles approximately a quarter of the country’s seaborne trade. ABP’s 21 ports, together with the other transport-related businesses that constitute the ABP group, form a UK-wide network capable of handling every conceivable type of cargo. ABP is backed by investment in modern facilities and equipment, and supported by experienced staff. The group’s other activities include rail terminal operations (Hams Hall), ship’s agency, dredging (UK Dredging Ltd), and marine consultancy (ABPmer). Each port also offers a well-established community of port service providers. Colas Rail is one of Europe’s leading suppliers of railway infrastructure services, constructing and renewing all forms of railways across Europe and the UK. Our aim is to be the partner of choice for all aspects of rail infrastructure solutions by leading by our values. We already have an impressive portfolio of award winning work. The size and strength of our capabilities means we can deliver truly integrated solutions. At Colas Rail we look outwards to our customers seeing things from their point of view. We respect their view, respond to their suggestions and are proactive in anticipating their needs. We are creative, innovative and collaborative in our approach and we aim to always exceed the expectations of our customers and partners. We are committed to delivering on our promise, to our employees, the people we work with, our customers and all our stakeholders. We strive for excellence and have a passion for success in all that we do. Direct Rail Services (DRS) is a wholly-owned subsidiary company of the Nuclear Decommissioning Authority (NDA). Since its formation in 1995, DRS has developed a solid business base through the provision of robust, innovative and bespoke transport services to customers within the nuclear industry. In combination with selected non-nuclear related customers who demand the highest levels of performance, DRS have established an unrivalled reputation for delivering to the most exacting standards. 2017 saw the introduction of the new dual power, Class 88 Locomotive which sets a new standard for performance, flexibility & economy on the UK network. Building on the Class 68 which has given the rail industry unparalleled performance and reliability, the Class 88 will lead the way in locomotive technology for many years to come. We offer high levels of handling and logistic-related services to customers who are looking for solutions to move goods cost effectively and efficiently, and provide warehousing and storage facilities. Forth Ports offers key berthing facilities to cruise operators at our London and Edinburgh ports – www.capitalcruising.co.uk and www.londoncruiseterminal.com. 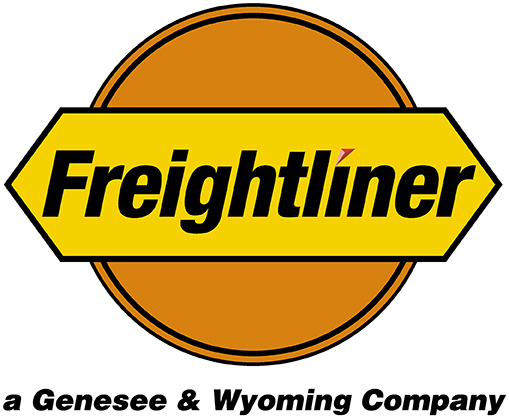 Freightliner, a subsidiary of Genesee & Wyoming Inc. (G&W), is an established award-winning rail freight haulier, operating across the UK, Continental Europe and the Middle East. Offering customers a wide range of rail freight solutions to cater for the requirements of a diverse market sector, Freightliner provides a safe, reliable and cost-effective rail freight partnership. As a leading provider of intermodal and bulk freight haulage, with depots and terminals spread nationwide, Freightliner operates services across the entire UK rail network as well as offering rolling stock and infrastructure maintenance solutions. Setting new standards of reliability, flexibility and customer service, Freightliner continues to invest in locomotive technology, wagons and terminal infrastructure to provide the quality of service that our customers expect. As well as being the largest container port in the UK, handling in excess of 4 million TEU (twenty foot equivalent units) annually, the Port of Felixstowe is also the country’s largest intermodal rail freight terminal offering more intermodal rail services, to more inland destinations, than any other UK port. Sixty-six freight train movements per day are handled at the Port’s three intermodal terminals with over 1 million TEU passing through the facility in 2017. The Port of Felixstowe is part of Hutchison Ports (UK) Ltd which also includes Harwich International, one of the UK’s leading multi-purpose facilities and London Thamesport. An integral part of Malcolm Logistics, Malcolm Rail offers daily round trip Anglo-Scottish services between DIRFT, Mossend and Grangemouth. Our three terminals offer secure loaded and empty container storage. Our road and rail services offer totally integrated supply chain solutions including over five million sq ft of warehousing which is largely bonded and rail connected. Maritime Transport is here to support and streamline your supply chain. Approach us to help you with your challenges, with years of experience and one of the largest and most diverse operations in the UK we are confident there is no problem we cannot solve – however large or small. As a privately-owned business we are able to quickly adapt and invest in new opportunities. PD Ports is one of the UK’s major port groups with a reputation for excellence gained from decades of experience and a highly skilled workforce. With headquarters in the north of England, PD Ports operates from locations across the UK. Teesport, owned and operated by PD Ports, has rail connections to Felixstowe and Scotland calling at its onsite intermodal rail terminal. Positioned at the heart of the North East coastline, Port of Sunderland is just five minutes from open sea providing a gateway to the world. In April 1994, Porterbrook Leasing Company Limited (Porterbrook) bought approximately one third of British Rail’s rolling stock with leases in place with the newly created passenger train operators. Following a Management and Employee buyout in January 1996 Porterbrook was sold to Stagecoach in August of the same year. In April 2000 Porterbrook was then bought by Abbey National Treasury Services and in December 2008 was sold to a consortium of investors. In October 2014 the Porterbrook Group of companies was acquired by a consortium of investors including Alberta Investment Management Corporation (“AIMCo”), Allianz Capital Partners (“ACP”) on behalf of certain insurance companies of the Allianz Group, EDF Invest and Hastings Funds Management. Porterbrook’s aim in the coming years is to not only continue with investment in new trains and associated equipment for the UK rail industry but to also improve reliability, availability, maintainability and safety characteristics by working closely with the freight operators, train operators and suppliers to identify opportunities. Touax Rail Ltd is the second largest lessor of intermodal railcars in Europe, which currently manages a varied range of more than 10 500 wagons/platforms, such as intermodal, car- and coil – carrying, sliding wall wagons, hopper and powder railcars for transporting heavy goods. Victa Railfreight provides a wide range of operational & logistics services to rail freight operators, customers and suppliers. We hold a UK wide Freight Train Operators Licence specifically aimed at achieving efficiencies and providing new business opportunities in collaboration with other freight operating companies. VTG Rail UK Ltd is an award-winning organisation, pioneering innovative design, leading research and the development of industry standards for rail ­freight rolling stock. As part of VTG AG, Europe’s leading wagon hire and rail logistics company, it has substantial experience and resources underpinning its UK operations. VTG’s UK fleet of around 2,800 wagons comprises a bulk sector for dry and solid products, a tank sector for petroleum and chemical products and an intermodal sector covering a comprehensive range of container platforms. VTG Group’s acquisition of Swiss based European wagon hire company AAE has increased the intermodal sector of the UK fleet by around 700 platforms. New wagons are added regularly as part of a continuous replenishment process, being chosen to meet emerging market demands, as well as specific customer requirements. Fleet highlights include VTG’s ground breaking Ecofret wagon, which has changed the economic rules of intermodal traffic by virtually eliminating costly wasted space as well as our aluminium bodied cement and petroleum wagons giving a payload advantage of 5 tonnes compared to steel alternatives. VTG also pioneered the large-scale movement of biomass by rail, and can now supply “re-purposed” coal wagons, in an optimised form to carry aggregates.